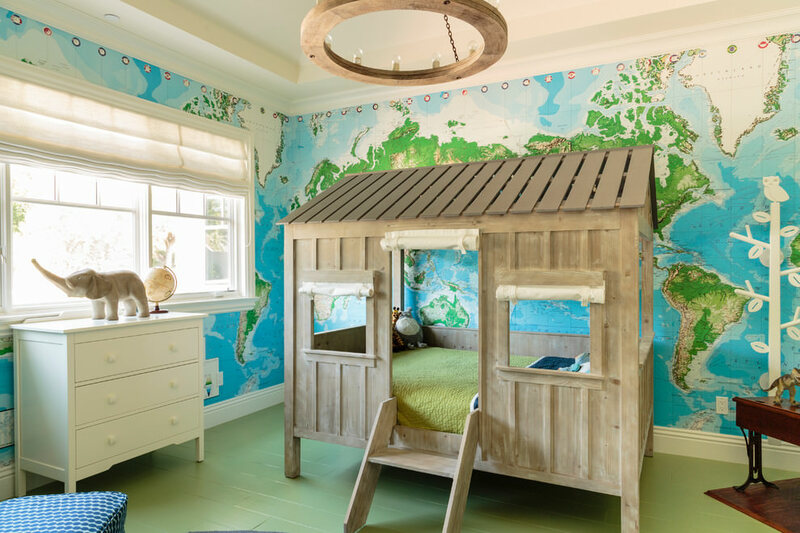 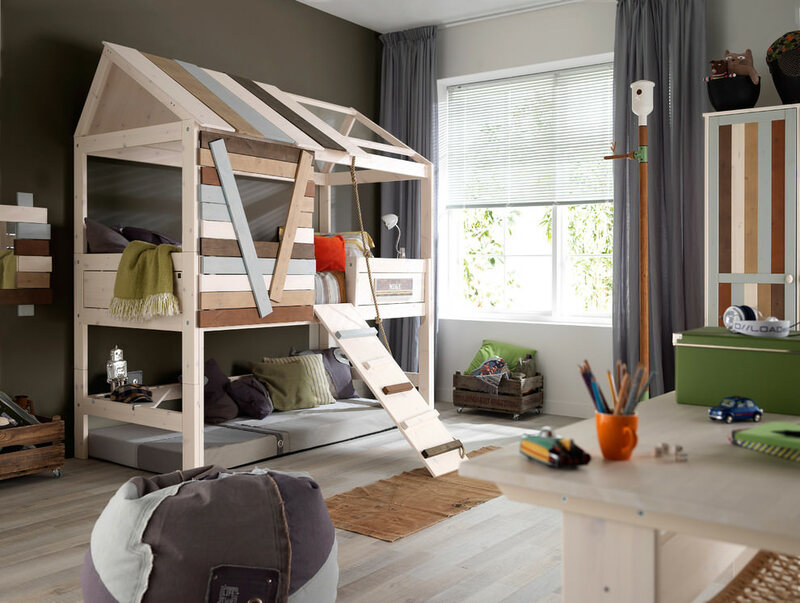 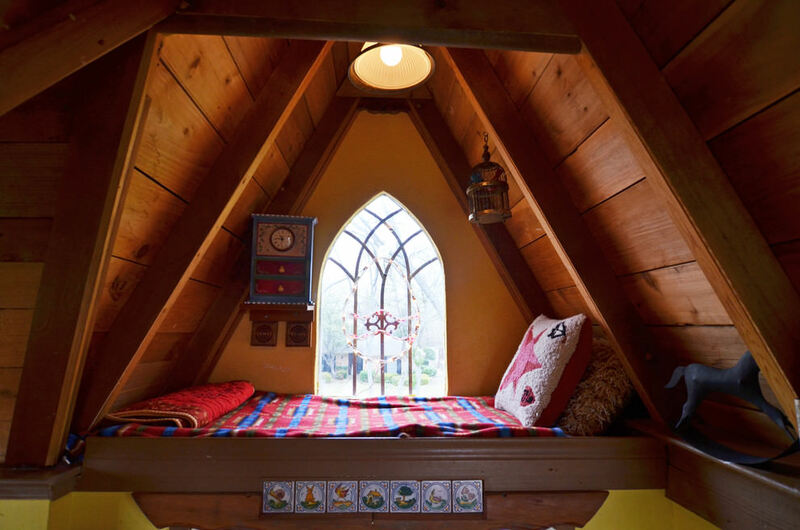 Treehouse beds bring both a touch of nature and magic to children’s rooms. 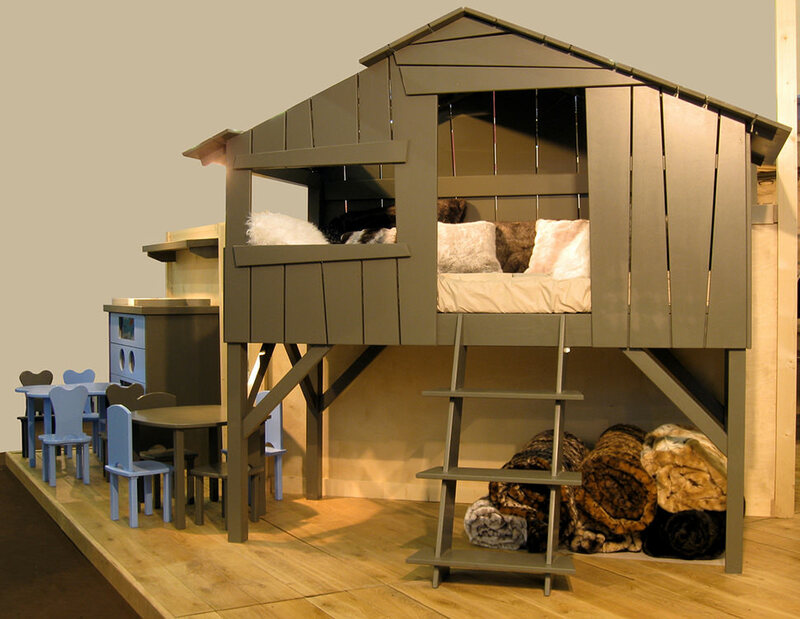 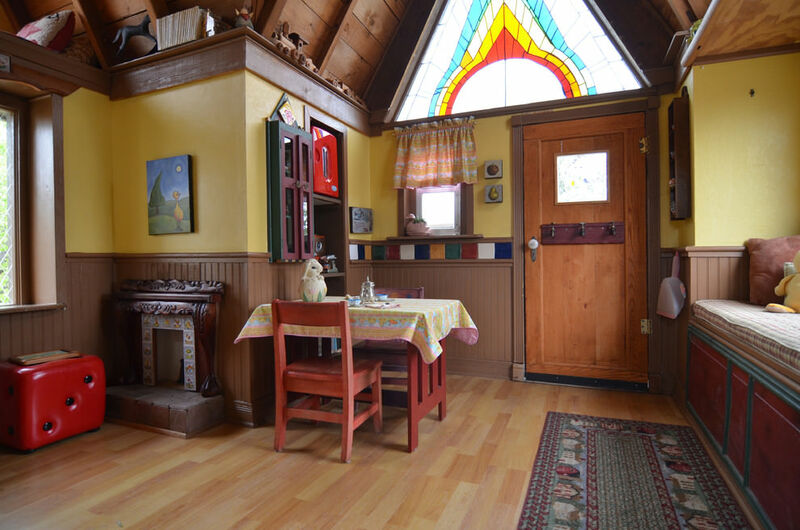 They typically have lofted beds or bunk beds built into a wooden structure that resembles a cottage. 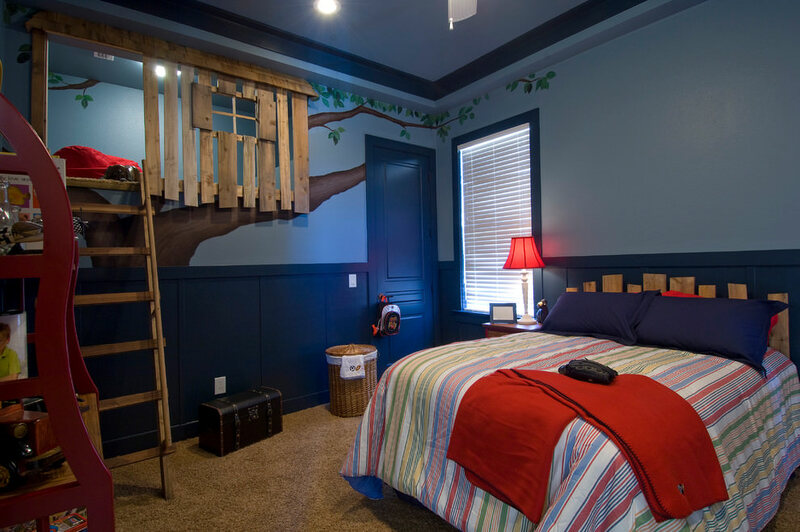 Bedtime is fun when kids have to climb a ladder to get into bed. 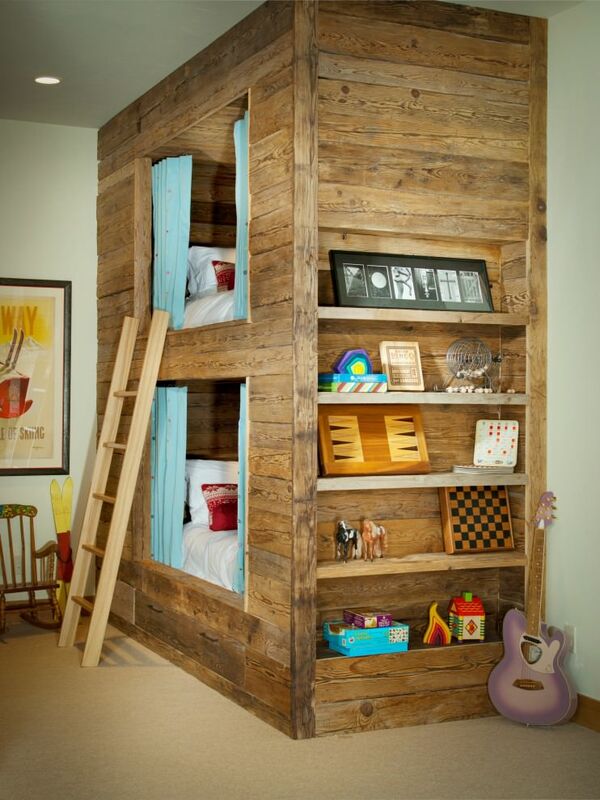 A lofted bed also frees up space for storage. 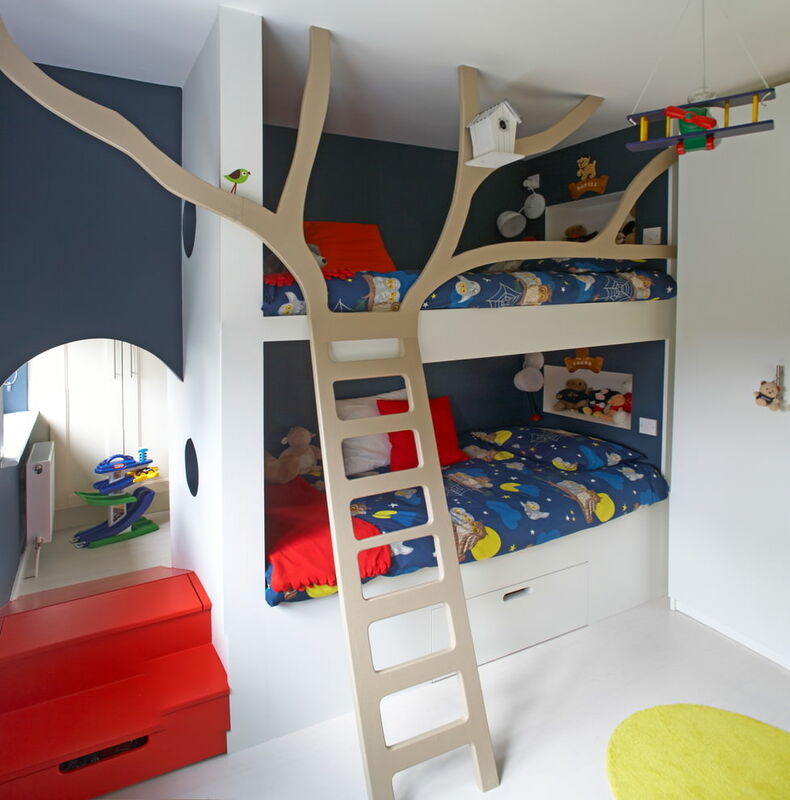 What’s more, you can also have a treehouse bunk bed for siblings. 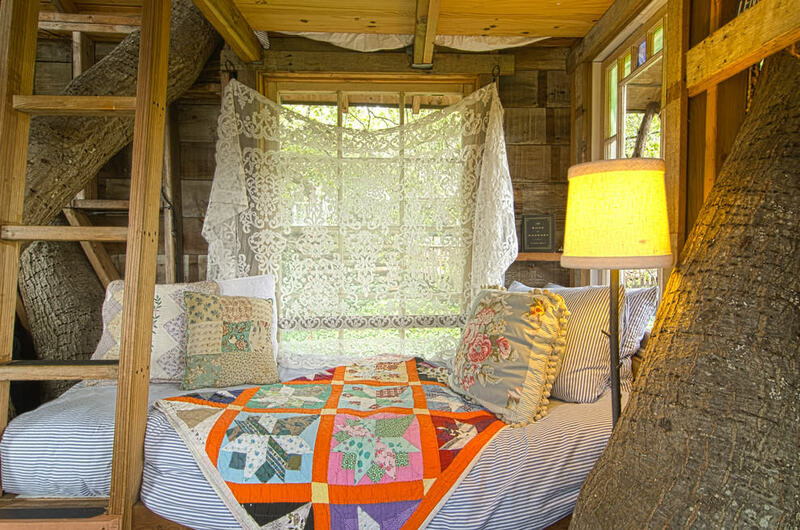 Treehouse beds can be terrific DIY projects if you’re good with a hammer and saw. 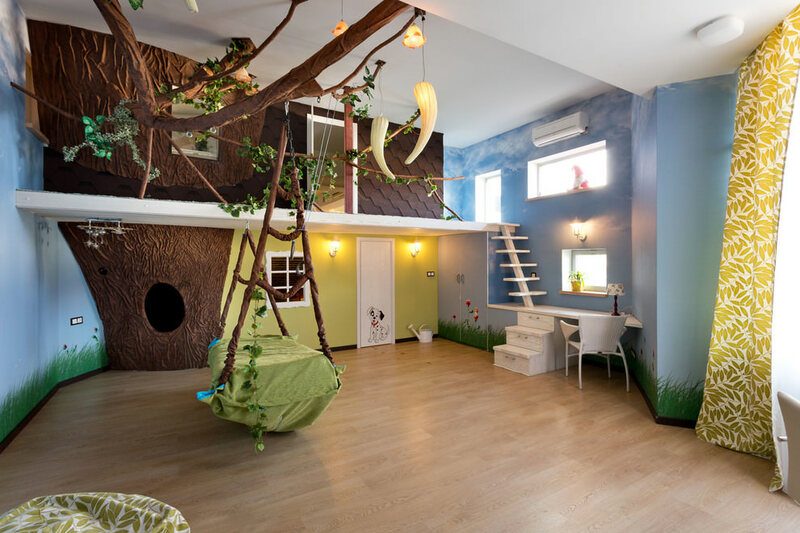 You can embellish the surroundings further by giving it a forest look. 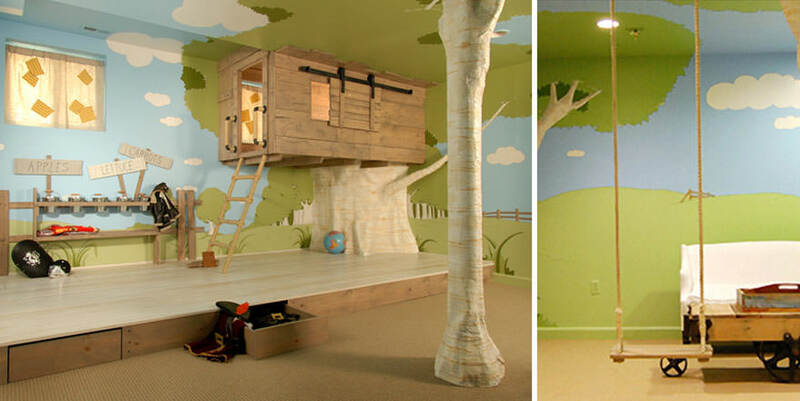 You could paint trees on the walls or get wallpaper with a tree motif. 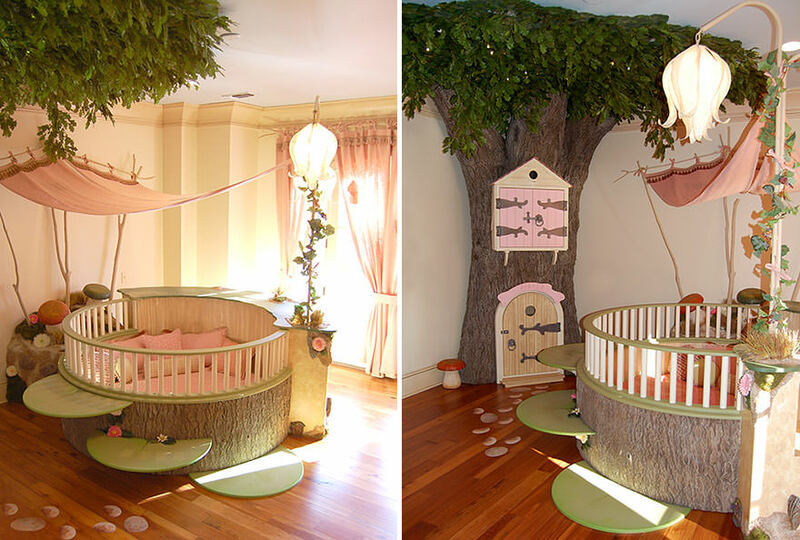 Another trick is to create a wooden tree with a bed or beds designed on branches. 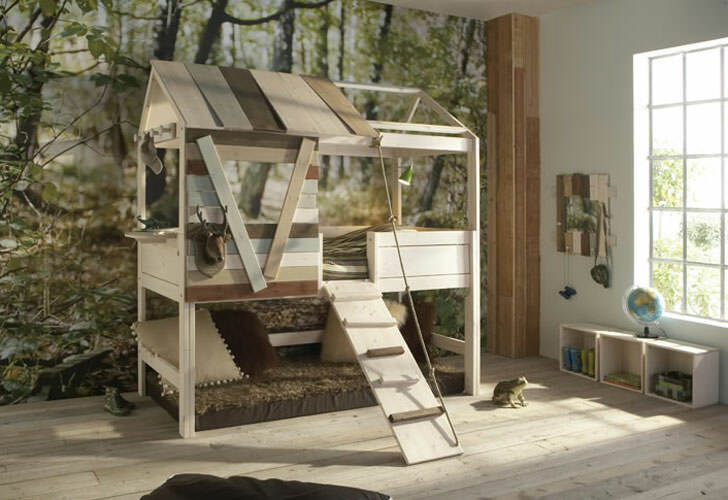 You can even have a wooden platform built into the treehouse for cabinets, shelves and items for your kids’ use. 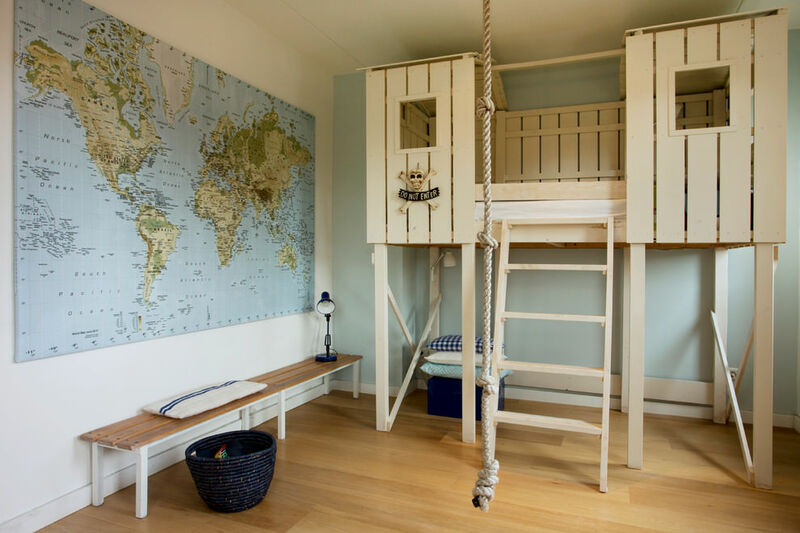 However, the ladder should have easy steps and side rails for your child to hold on to while climbing up or down. 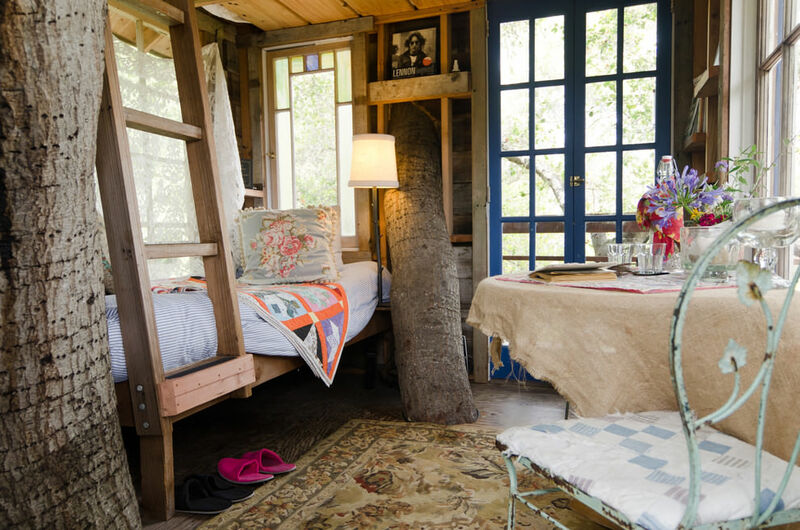 Treehouses necessarily give the bedroom a pastoral look. 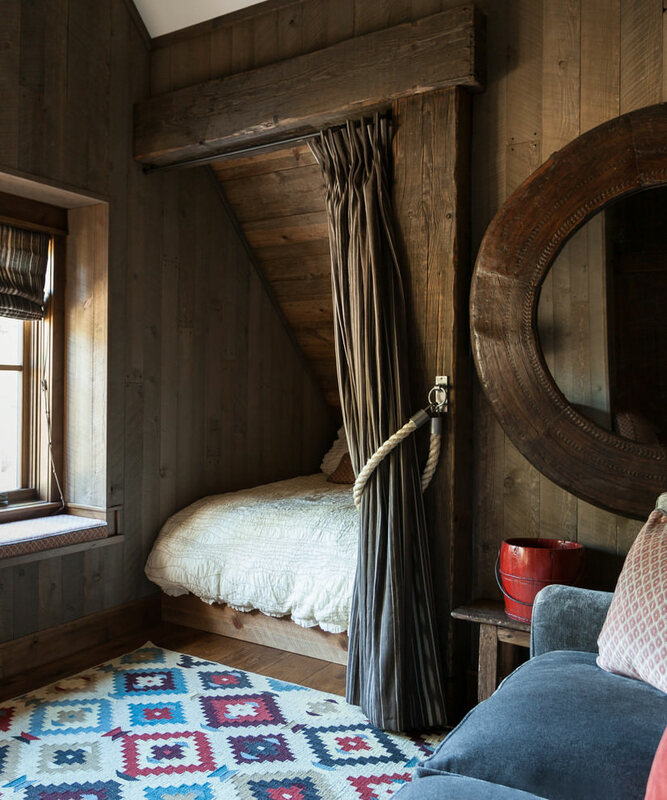 So furnish the room with complementary design elements like rustic tables and chairs and wooden flooring. 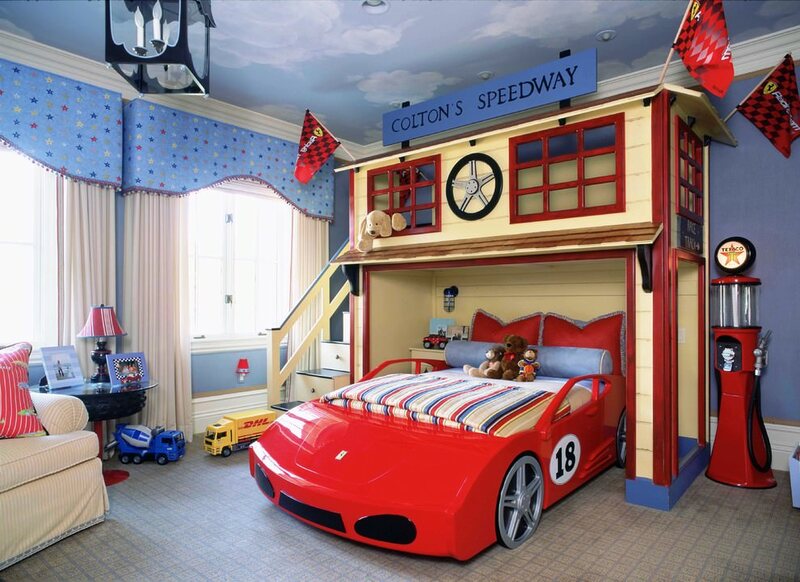 It would be a lot more fun for the child if he or she had a ladder to climb into bed and a slide to come down. 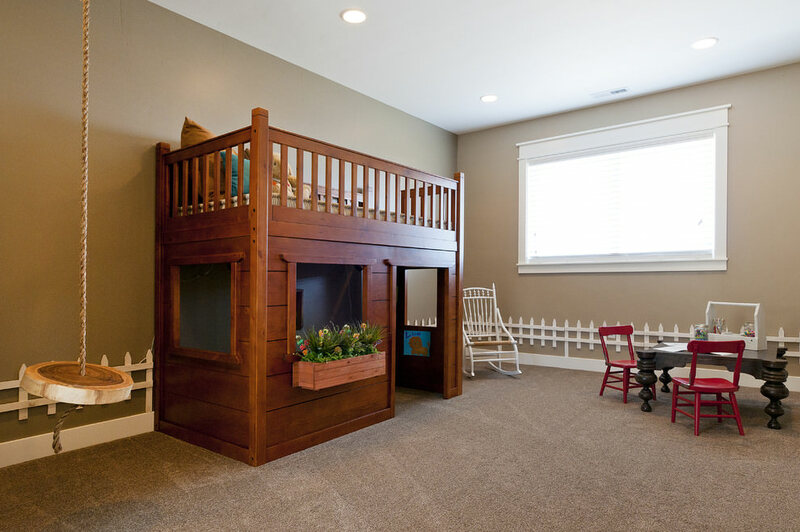 You could even grow a garden in the room to enhance the natural look. 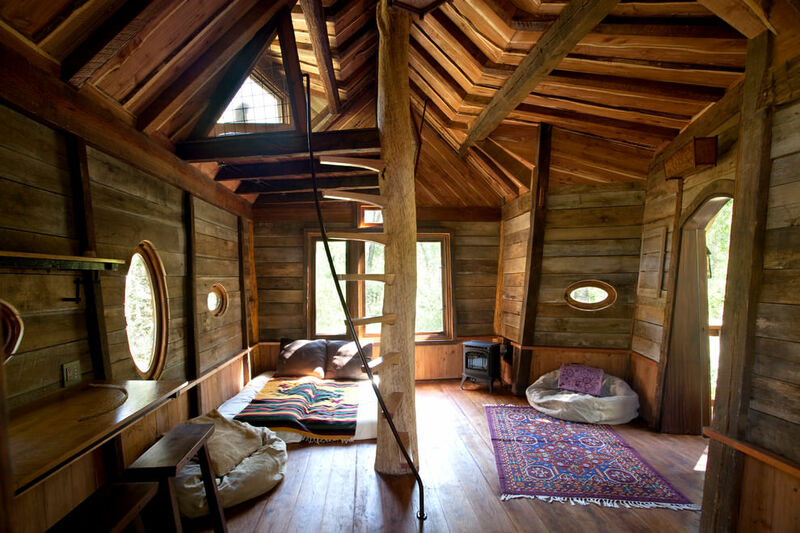 Treehouses necessarily give the bedroom a pastoral look. 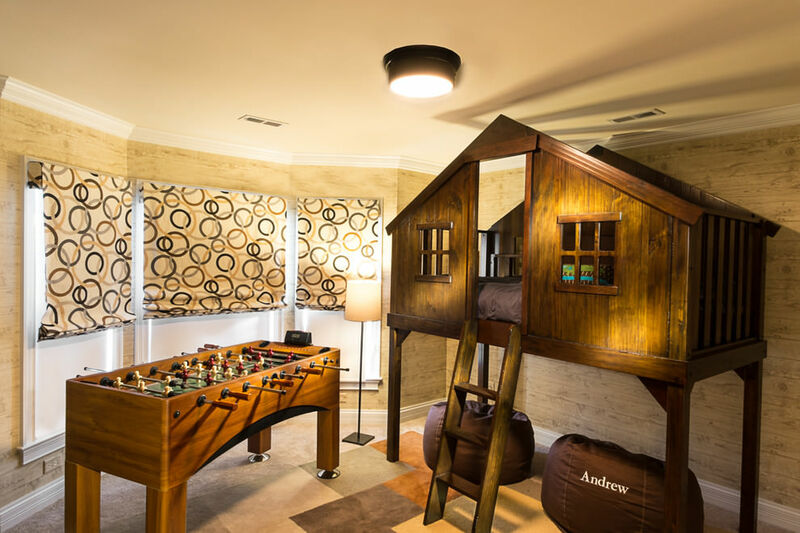 So furnish the room with complementary design elements like rustic tables and chairs and wooden flooring.For older children, you might consider a real treehouse built into a tree. 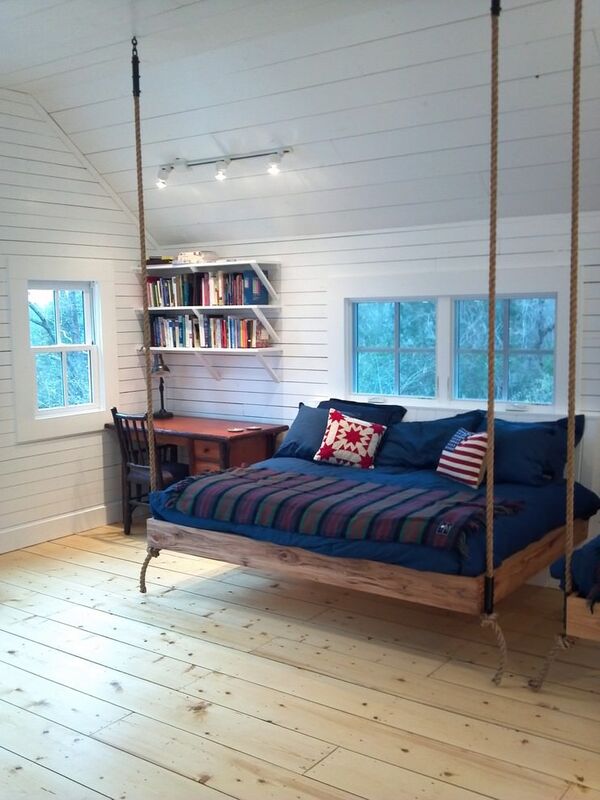 You could have just a mattress or a rustic bed along with the sheet and cushions. 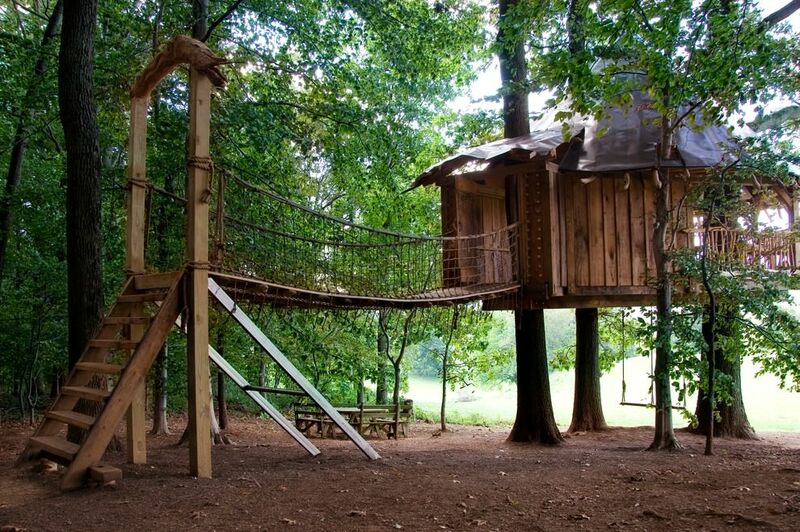 A real treehouse could even be your retreat, where you and your children can take turns to inhabit. 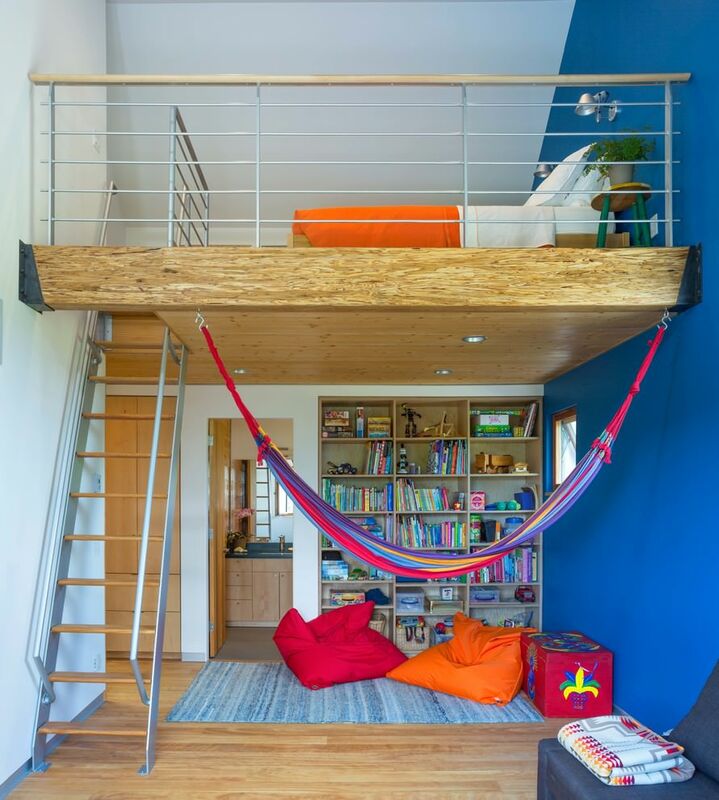 If you want to go all out, you can even build a balcony on the branches, with outside support.